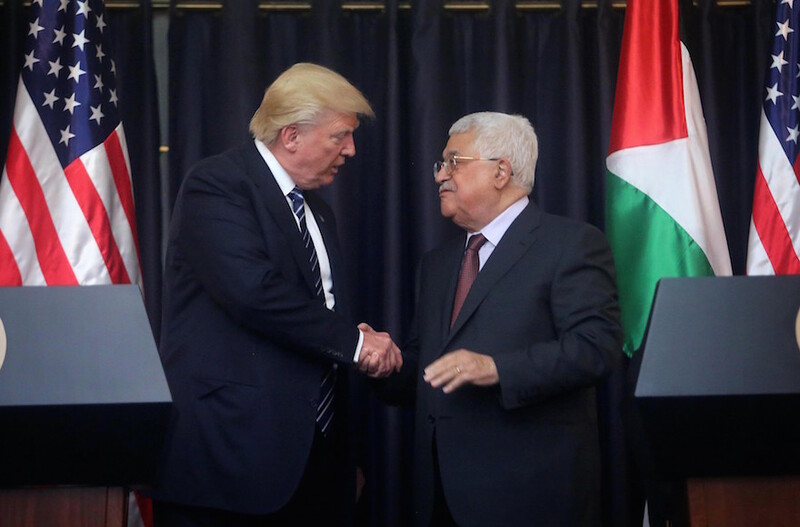 JERUSALEM (JTA) — The Palestinian Authority has threatened to suspend communications with the United States if moves ahead with closing the Palestine Liberation Organization’s office in Washington, D.C. The Trump administration announced Friday that Palestinian President Mahmoud Abbas’ call on the International Criminal Court in September to investigate and prosecute Israeli officials for settlement activity and aggression against Palestinians had triggered a U.S. law that could lead to the closure. The State Department has refused to renew permission for the PLO to operate its office in Washington, D.C., for the first time since in about three decades. The certification must be renewed every six months. “This is a matter of US law. We respect the decision and look forward to continuing to work with the US to advance peace and security in the region,” said a statement issued Saturday night by the office of Israeli Prime Minister Benjamin Netanyahu. “Conditioning the renewal of the waiver on the Palestinians’ sticking to ‘direct and meaningful negotiations with Israel’ is actually superfluous since negotiations are nonexistent, and the current U.S. administration has yet to present any kind of peace initiative,” PLO official Hanan Ashrawi said in a statement. The Trump administration is working on a U.S. plan for Israeli-Palestinian peace in an effort led by the president’s Jewish son-in-law Jared Kushner, a senior White House advisor, and special negotiator Jason Greenblatt. Details of the plan to be released in the coming months were leaked over the weekend to Israel’s Hadashot news, which cited senior Israelis involved in the ongoing discussions with Trump’s peace team. The White House and the Israeli Prime Minister’s Office challenged the accuracy of the report.